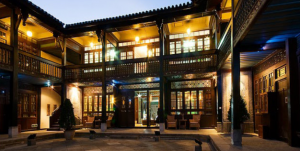 Description: Restored Beijing courtyards (Siheyuan) featuring typical layouts and original fixtures and decorations. 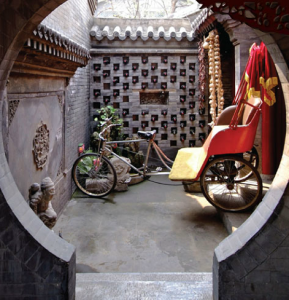 Overhanging walkways surround small open-air stone courtyards with interiors decorated in a Chinese 1920s - 50s style. 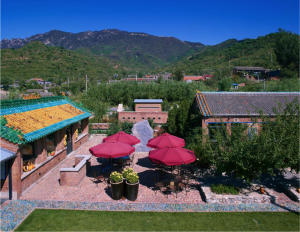 Description: The first geo-tourism hotels in China, these Heritage Hotels feature restored Tibetan architecture with a sincere ethos on sustainable tourism and supporting ethnic minorities and their skills. Description: The Naked Reserves creates eco-tourism holiday retreats through the restoration of existing local buildings on site and sustainable new-builds. 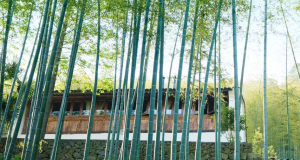 The two projects - 'naked Home Village' and 'naked Stables Private Reserve' - are some of the leading examples in sustainable tourism in China. Description: Sensitively restored home of a former Bai merchant. Traditional architecture features adorn the property, including sky wells, decorative carved eaves and original wood-carved screens. The Linden Centre is known to be a leading example of architectural restoration and cultural conservation.